Australians with a disability are rapidly becoming a high-demand commodity in the workforce, as employers look for stability and work ethic. Job opportunities for people with mental or physical disabilities are on the rise in Australia, with many businesses happy to alter job roles and infrastructure in exchange for a more reliable member of staff. 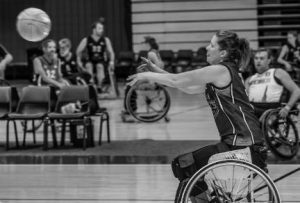 One in five Australians identify as living with a disability- for nearly 80 per cent of those it’s a physical impairment. In 2015 just over half of people aged 15 to 64 with a disability worked in some capacity, much less than those without. However attitudes are changing, and differently-abled people are now finally finding more opportunities to join the workforce. A recent report by Australians for Disability and Diversity Employment (ADDE) found people with a disability were more likely to stay at their job longer and tend to have better attendance records that people without disability. In fact, people with a disability are actually more valuable employees than millennials, according to Australia’s Assistant Disability Services Minister Jane Prentice. “People with disability actually make better employees,” Ms Prentice said. The ADDE report also revealed how the Australian economy would benefit if more jobs were given to the 800,000 Australians currently living on disability pensions. “By creating employment for many of these people the reduction in welfare and Medicare payments will not only help the economy financially but will have flow on effects such as the improvement of the social, emotional, physical health of those employed,” the report said. A number of major Australian organisations have seen the value. Coles, Woolworths, Kmart and the National Australia Bank are among the businesses actively seeking employees with physical and mental disabilities. 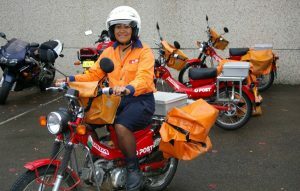 Australia Post is another eager employer, with over 3000 members of its current workforce living with some form of disability. 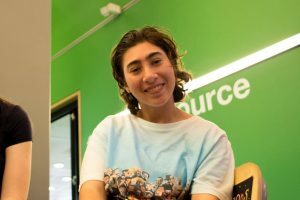 Lakemba ‘postie’ Caroline Browne was declared deaf at age three, and communicated through an Auslan interpreter during the job interview process. She spends most of her work days zipping around on a motorbike delivering letters- equipped with a few extra warning lights on the bike and a mobile phone so she can text the office while she’s out and about. Changes around the office also helped South Australian woman Sonja Veitinger to find work. 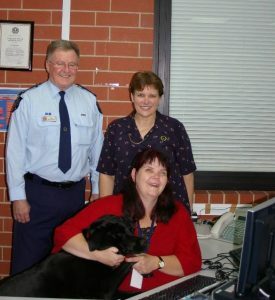 Sonja Veitinger (front) at work at Holden Hill Police Station with her guide dog Rowan. Ms Veitinger transcribes tapes for the Holden Hill Police Station, using a dual headset which helps her vision impairment by allowing her to hear written documents. It’s a role the South Australian Police struggled to fill for some time because of the patience and skill required. Administration Manager Doris Andrew said some changes to the job description had to be made to accommodate Ms Veitinger’s varied ability, but it was all worthwhile. 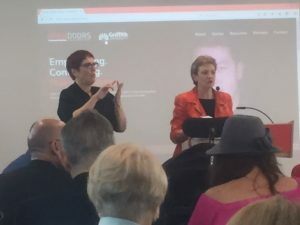 “There’s room in generic jobs to carve duties and provide opportunities for people with a disability as well as assisting businesses with areas of skill shortages,” Ms Andrew said. The Brisbane City Council has been also been praised for its work providing meaningful employment opportunities. It was named Employer of the Year at the International Day of People with Disability Awards in 2016, and also won awards in 2017, for its disAbility Action at Work Program. On average diversely-abled people are paid less, and offered less hours of employment than those with no disability. However the Brisbane City Council program promotes equal opportunity, pushing the average wage up to $62,000 per annum. While the idea of welcoming disability into the workforce has been enthusiastically taken up by some sectors, for others, the trend is taking a while to catch on. Australia still only rates 21 out of 29 Organisation for Economic Co-operation and Development (OECD) countries for employment of people with a disability. 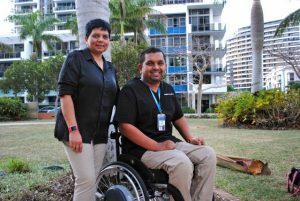 Service providers from across Australia gathered in Brisbane last week to discuss the future of disability employment. 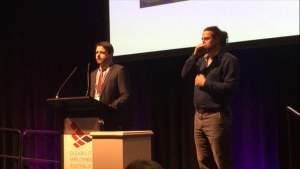 The two-day Disability Employment Australia conference canvassed equal opportunity and career development, among other topics. Disability Discrimination Commissioner for the Australian Human Rights Commission, Alastair McEwin said complaints relating to discrimination, particularly around employment issues, have reached record highs in the last five years. He said it’s a significant issue that needs addressing. “Many employers jump to conclusions very quickly, particularly if the person has an obvious disability-if they need help, or a learning disability,” Mr McEwin said. It’s one of the reasons the Federal Government has announced plans for a no-strings-attached work experience day for people with a disability. The program, tentatively named “Give it a Go Day”, was announced at the Project Open Doors launch in July. 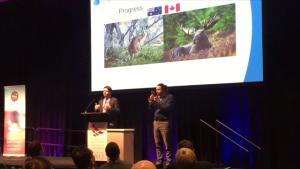 It will offer Australians the chance to try a new career and build networking contacts. For many, the promise of employment over-shadows the job itself, something Assistant Minister Prentice hopes the program can change. “Quite often they might get a job and then find out it is not quite what they thought it was but because they are so grateful for the job they don’t speak up and say something,” Ms Prentice said. Give it a Go Day is on December 3, and organisations can register with the Federal Government as a host. 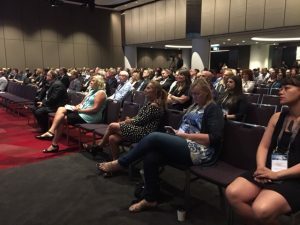 The 2017 Disability Employment Service annual conference in Brisbane. Keynote speakers discussed equal opportunity and career development during the two day event.